The film follows the journey of a German businessman who travels to Norway to finish the translation of some Norwegian poems by Tarjei Vesaas into Chinese, a project of his late wife. A down-on-his-luck tour guide becomes part of the journey after he is hired to show him around. The poetic drama highlights the transforming power of love, limits of language and human need for friendship. The Hollywood Reporter said of the film, “As in the best poetry, each image and every line has the rigor of a well-turned line.” The film is not rated. 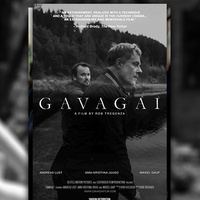 The title of the film is Gavagai, not Gavangi. Perhaps it can be corrected on the calendar.